Ford hasn’t offered a V6 option in the F-150 since its best-selling truck was redesigned for the 2009 model year, but a report from our friend Mike Levine over at Pickuptrucks.com says that’s about to change. 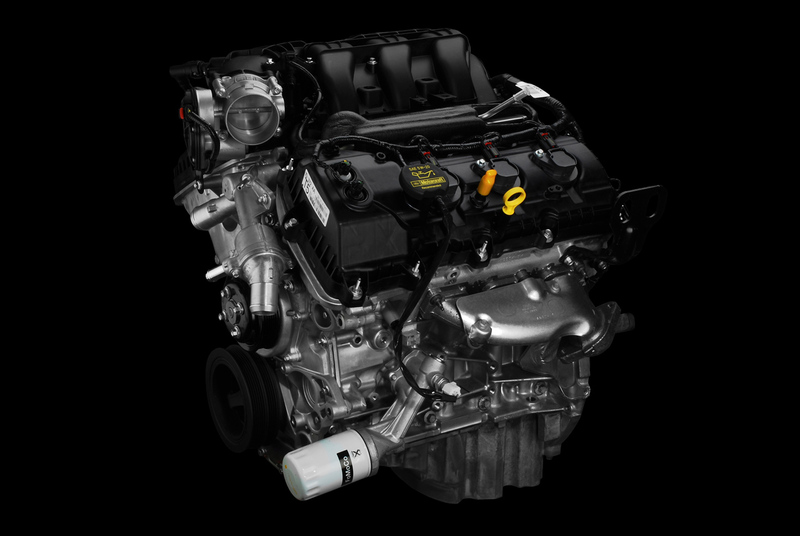 Levine cites sources at the Blue Oval who say the same Ti-VCT 3.7-liter V6 (shown abovet) that will power the 2011 Mustang and Lincoln MKX will also be found under the hood of the F-150 by the end of the year. Levine tells us that the 3.7 will likely only be added to the XL and STX models, though there is a chance that the XLT could also get some fuel-sipping love. A V6 pickup will likely be a big hit with fleet customers as well as buyers who love trucks but don’t use them for towing or hauling. The sources didn’t quote power numbers, but since the Lincoln MKX version will reportedly produce the same 305 horsepower and 280 pound-feet of torque as the one used in the Mustang, there is a good chance that Ford will simply copy and paste the same mill under the hood of the smallest F-Series. If the 3.7 does find its way into the F-150, we’ll be very interested to see the official EPA fuel economy numbers. We can’t see a 23 or 24 miles per gallon full size pickup with up to 305 hp being a bad thing. Make sure to check with your Southern Maryland Ford Dealer for exact specs and availability.